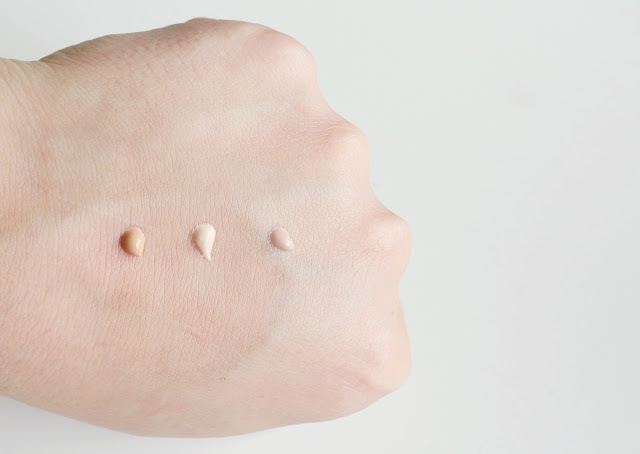 These new primers from Hourglass are designed to be "light correcting", supposedly neutralising and softening warm and cool tones within your skin, perfecting your complexion with a "soft, subtle glow*". First of all, I really like the formula of these primers. They're nice and light weight and feel really soft and smooth, with no stickiness at all (which I have found with other watery-feel primers). 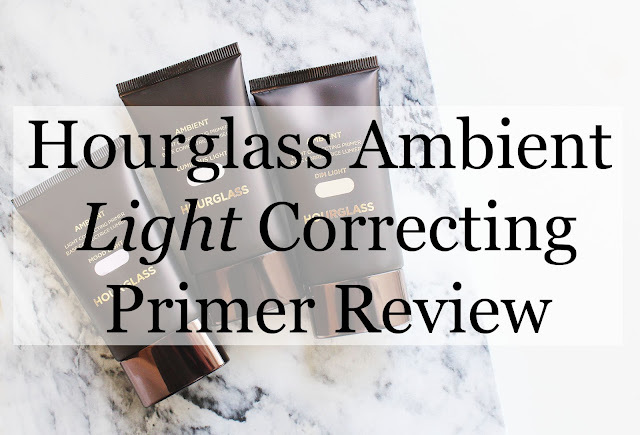 These primers work in a similar way to colour correctors, but in a much more subtle, non specific way. I.e, they're designed to correct the appearance of light and skin tone all over the face rather than target specific problems. Mood Light is a pale lilac primer, which creates a brightening effect as it counteracts yellow undertones. It illuminates without containing any shimmer or oil*, which I think is pretty impressive. 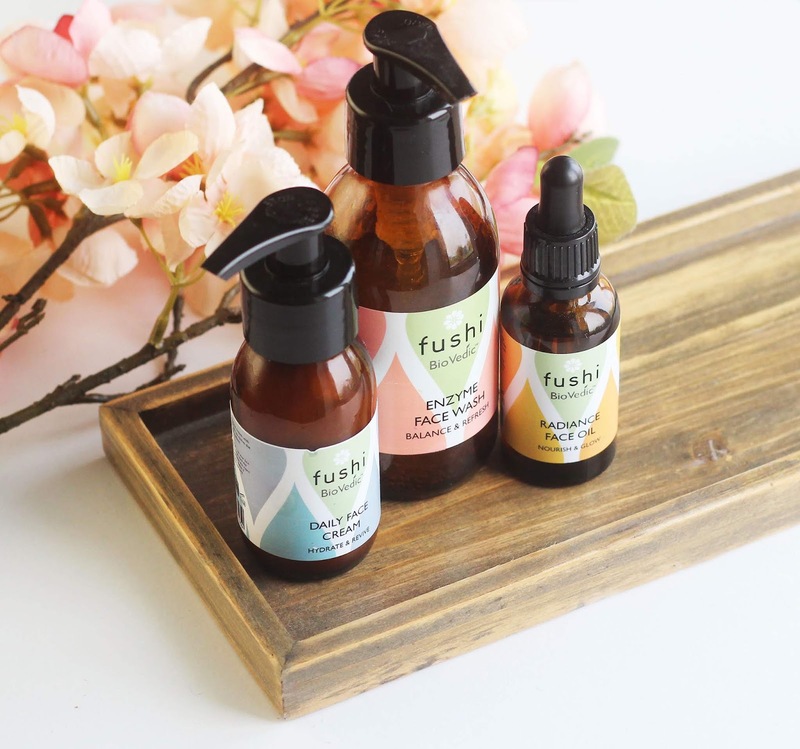 I have yellow under-toned skin so this one is my particular favourite as it is most effective at evening out and brightening my skin tone. Luminous Light is flesh coloured with a hint of pale pink/peach undertone. Similarly to Mood Light, the peach also creates a brightening effect but counteracts dark spots. As it is a neutral colour with a hint of pink, it essentially lifts any darkness in the face and 'cancels out' dark spots, whilst refining your skin tone as a whole. I didn't find Luminous Light particularly effective, so I personally use this when I want a more subtle brightening effect. However, it is noteworthy that I'm not particularly prone to dark spots. Older women, women with more tanned complexions or those who spend a lot of time in the sun (I'm literally vitamin D deficient, if that gives you any clue as to how much time I spend outdoors...) are more effected by dark spots so perhaps this would be a good primer for those that fit into those categories. Dim Light is just flesh toned, so evens the skin tone overall. Dim Light definitely evened my skin tone to an extent, but I can't say it was dramatic. I didn't find myself having to use less foundation at all. To be honest, it isn't a necessary step for me. However -generally speaking - of late, uneven skin tone hasn't been a particular problem of mine. I think I'd find it more effective in times it is! For now though, I definitely don't need it. I'm going to be totally honest: I'm a little disappointed. 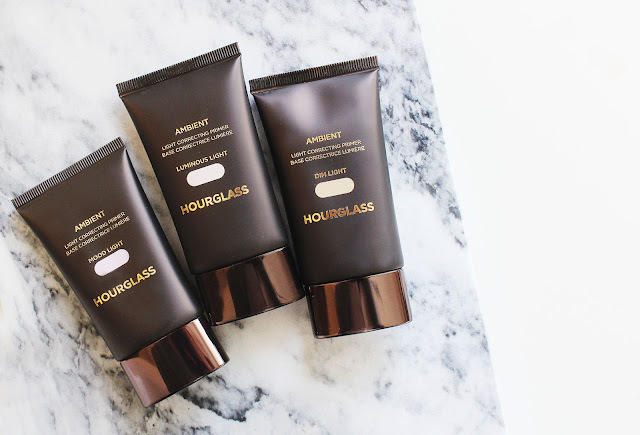 I love Hourglass products, and I love priming my skin. I think the idea of priming - in the sense of smoothing, softening and perfecting - is a really great start to make-up. So, when I saw these had launched, I jumped straight onto my laptop and ordered all 3. That's £90 worth of primer, and I really hate to admit that I feel like I've wasted my money. I feel like you really don't get a lot of product for your money, you only get 30ml in each tube. Personally, I think the price tag of £30 is excessive for this amount. Moreover, it's not that these products don't do what they claim to do, my grievance is that they don't do it enough when considering it's Hourglass and that it's so expensive. I just feel like the effect really isn't that dramatic, and is almost unnoticeable once covered with foundation, which sort of defeats the object of a primer. All 3 of them, at least on my skin tone, leave too much of a colour cast to be worn alone. Like I said, I got these primers as soon as they came out, which was a while ago now. It took me so long to write a review because I really wanted to make them work the way I expected them to. I was desperate for them to be more effective, so I really gave them a long trial. The only one I've found particularly useful is Mood Light. If you're going to get an Ambient Light Correcting Primer, just pick one depending on what your skin needs are. 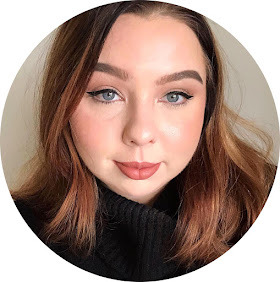 You do not need all 3, because the effectiveness really isn't that dramatic; there isn't any particularly distinguishing features between the 3 in terms of the result you get with the full face of make-up. Of course, this is just my experience, let me know what you think! I think I would prefer the Veil Mineral primer over these, although Mood Light sounds appealing! I'm not a big primer user so I think I'll save my money. Great review, I appreciate the honesty! Lovely honest review. I've heard lots of good things about these primers but was a little hesitant to buy as I'm not big on the whole colour correcting hype. think I'll stick to Laura mercier shame they didn't work out for you.